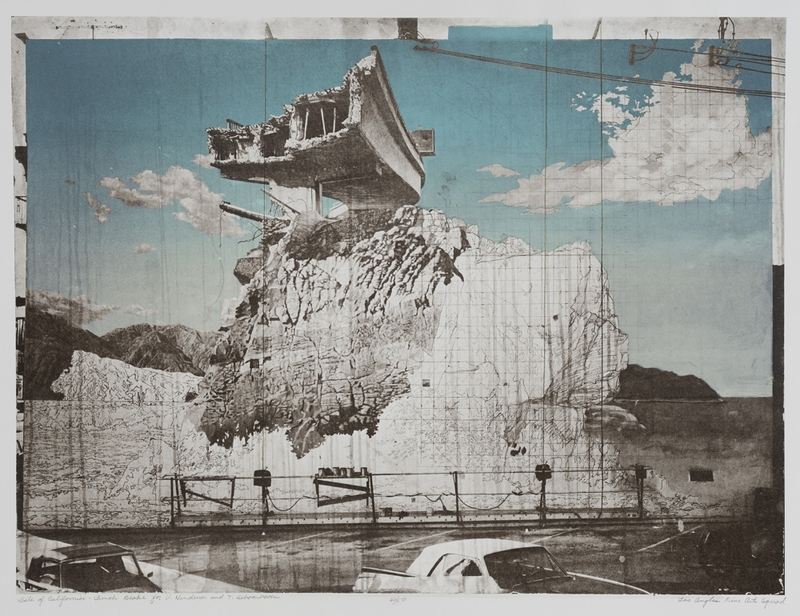 Los angeles Fine Arts Squad, "Isle of California–Lunch Brake for Henderson and Schoonhoven," 1973, Lithograph printed in brown with watercolor additions, ed. 22/50, Gift of Antoinette Amorteguy. (Santa Barbara, Calif.) — Winter may bring the region a few gloomy days of weather (more if El Niño rears its head), but when it comes to the arts and cultural forecast, things look brighter than ever at UC Santa Barbara, where a new, robust season of plays, concerts, lectures and exhibitions is now underway. Many of these creative endeavors will highlight accomplished students and world-class faculty showcasing their artistic talents. The UCSB winter arts calendar features opera classics, new interpretations of Shakespeare, art from California and much more. The Department of Music presents a trio of diverse performance styles this season. First up is “Opera Scenes,” a biennial showcase of excerpts from major operas. Emmy award-winning director David Grabarkewitz will direct and UCSB professor of music Benjamin Brecher will conduct students in scenes from works by Rossini, Bizet, Mozart and Strauss, along with the wildly amusing “Signor Deluso.” Performances are Jan. 28, 29 and 30 at 7:30 p.m., and Jan. 31 at 3 p.m. in Karl Geiringer Hall. Tickets are $15 for adults, $10 for non-UCSB students, $5 for UCSB students and free for children under 12 years of age. 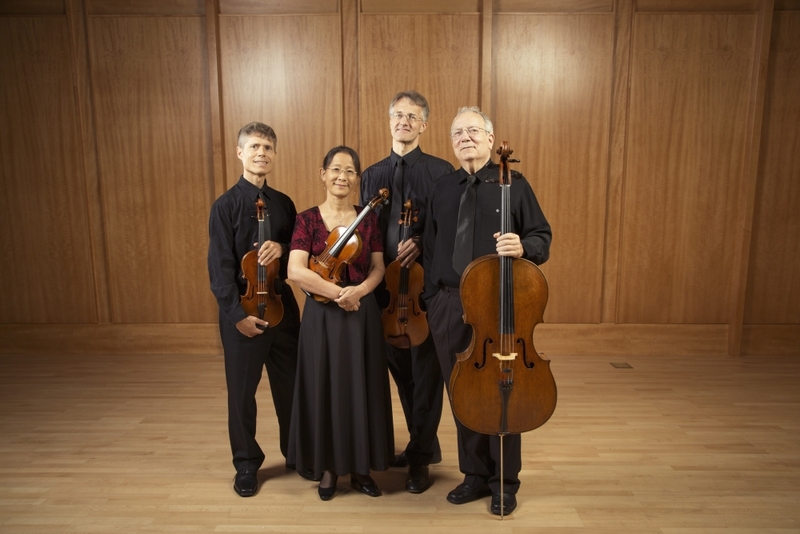 On Feb. 7 at 7:30 p.m., also in Karl Geiringer Hall, the music department will host the Ciompi Quartet, Duke University’s resident string quartet, in a concert featuring flutist and UCSB Music Department Chair Jill Felber, on Amy Beach’s “Theme and Variations for Flute and String Quartet, Op. 80,” and a performance of Professor Emeritus Joel Feigin’s “Mosaic in Two Panels” for string quartet. Said Felber of the piece she will be performing, “Amy Beach, one of America’s first truly successful female composers of art music, used her own song, ‘An Indian Lullaby,’ for the theme of the quintet. This rarely played work is a gem for the flute and string quartet literature.” Tickets are $10 general admission, $5 non-UCSB students with ID and free for UCSB students with ID and for children under 12. “Points in Time,” on March 6 at 2 p.m. in the UCSB Art, Design & Architecture Museum, offers a retrospective look at the music of Ph.D. candidate Anthony Paul Garcia. 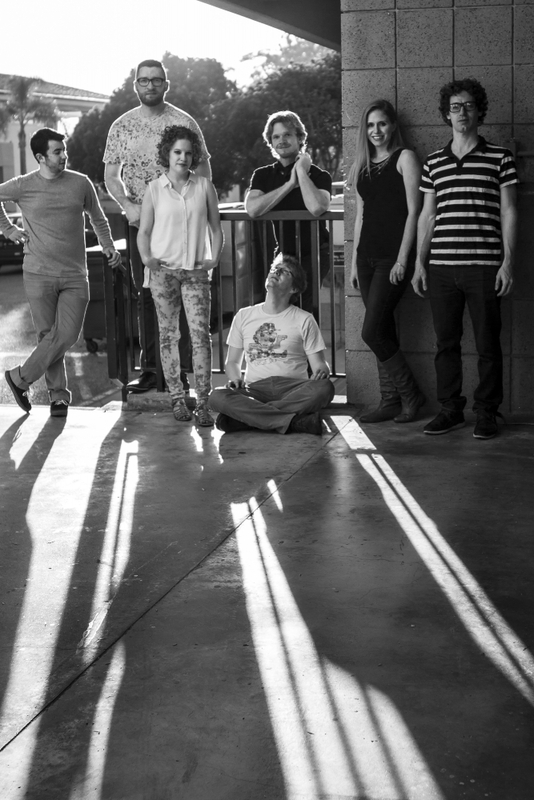 Members of UCSB’s Now Hear Ensemble will perform pieces that explore and exploit the use of time, electronics, speech and the fine line between pop and concert music. The performance will include the world premiere of Garcia’s new interactive viola concerto, “At Any Point,” played by violist Jonathan Morgan, in which the audience will help shape the piece through the use of their smartphones. Admission is free. More information about musical performances is available via the Department of Music. Celebrating its 40th anniversary, Santa Barbara Dance Theater, UCSB’s resident professional dance company, presents three works freshly conceived by former artistic directors Alice Condodina and Jerry Pearson, and current artistic director Christopher Pilafian. The program also includes selections from “Common Ground,” the acclaimed 2014 creation by Mexican-Canadian choreographer Edgar Zendejas. “We commemorate this landmark year by bringing together previous artistic directors, and we also pay tribute to the dozens and dozens of artists whose talent, passion and spirit made this dream a reality,” said Pilafian. Performances are Jan. 20–23 at 7:30 p.m., and Jan. 24 at 2 p.m.
Also this season, Naked Shakes rings in its 10th anniversary at UCSB with a world premiere event. “The Death of Kings,” two plays performed together in repertory, is adapted and directed by Irwin Appel from the history plays of William Shakespeare. “Part One: I Come But For Mine Own” covers Richard II, Henry IV, 1 and 2, and Henry V. “Part Two: The White Rose and the Red” encompasses Henry VI, 1, 2 and 3, and Richard III. The critically acclaimed Naked Shakes presents energetic, exciting, raw, vibrant Shakespeare using the power of the actor and the word. Part I will be performed Feb. 19–20 and March 1 and 3 at 7:30 p.m., and March 5-6 at 2 p.m. Part II will be performed Feb. 26, March 2, 4, 5 and 6 at 7:30 p.m., and Feb. 27 at 2 p.m. The entire epic saga can be viewed in one day on either March 5 or 6. All performances will take place in Hatlen Theater. Tickets are $17 for general admission and $13 for students, faculty, staff and alumni. More information about theater and dance events is available here. The Art, Design & Architecture Museum has four fall shows on exhibition until May 1. All are open to the public, and admission is free. The museum is open Wednesday through Sunday from noon to 5 p.m., with additional evening hours from 5-8 p.m. on Thursdays. “I’m excited about the winter exhibitions because they demonstrate the extraordinary breadth and depth of the museum’s permanent collection,” commented acting museum director Elyse Gonzales. “California 101: Art From the Collection” features artists who studied or lived for a significant period of time in the Golden State. Many of them used California’s art schools and universities, including UCSB, to build a network of artist collectives and social movements that spurred innovation. This exhibition focuses on work from the museum’s collection created during this critical period through the present day, and includes works tied to conceptual art and the feminist and black arts movements, postmodern photography, painting, sculpture and video art. “Lucile Lloyd: A Life In Murals” explores the life and work of muralist and designer Lucile Lloyd (1894–1941), who worked closely with architects to create murals and decorative designs for churches, schools and private residences around Los Angeles. Lloyd’s designs vary, but they all share her sense of imagination and use of vivid color. The exhibition will include her exquisite altarpiece from the St. Mary of the Angels Church in Hollywood, California, on loan for the first time. 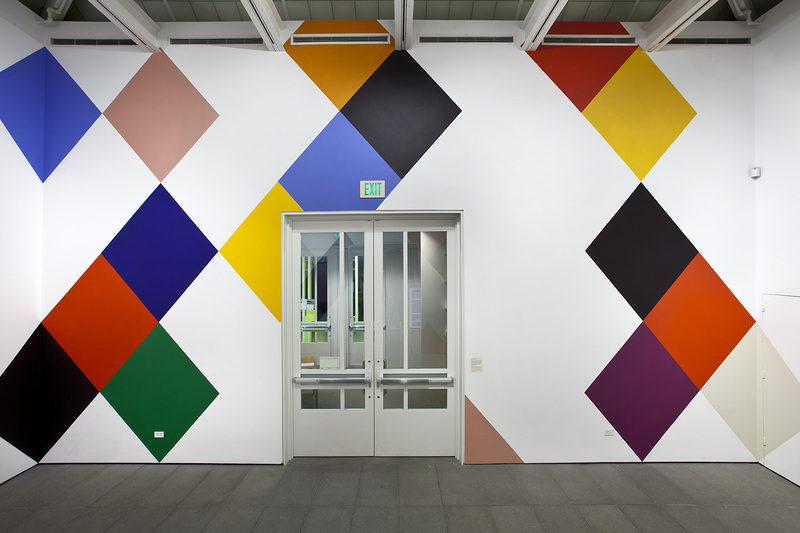 In the Nachman Gallery, 2015 Artist-in-Residence (and UCSB alumnus) Stephen Westfall has executed a massive painting covering all four walls. Westfall’s signature hard-edge, geometric brand of abstraction has transformed the gallery surfaces into a series of multicolored diamonds, clustered together and floating individually according to an underlying pattern of arrangement. Drawn entirely from the museum’s collection, “The Art of Colonial Latin America” focuses on the upper division course, “The Arts of Spain and New Spain,” taught by Deborah Spivak in UCSB’s History of Art and Architecture Department. The works on view span the 17th and 18th centuries in both Central and South America, and demonstrate the interaction between European and indigenous cultures. UCSB’s Pollock Theater hosts a screening of Paul Verhoeven’s “Robocop” Jan. 20 at 7 p.m. A discussion between screenwriter Michael Miner and UCSB professor of film and media studies Joshua Moss will follow. “Robocop” is considered one of the most important satirical genre exercises of 1980s Hollywood action cinema, presenting a dystopian vision that served as a subversive critique of Reagan-era vigilante screen fantasies. The film was also one of the first major studio releases to parody the excesses and genre tropes of the hyper-action style. Miner and Moss will discuss the film’s B-movie influences, the role of political humor in science fiction and the economic model of Orion Pictures and other genre picture studios in the 1980s. The event is free, but a reservation is recommended to guarantee a seat. More information on upcoming screenings can be found here.